India's second largest mobile operator, Reliance Communications, said on Sunday that its board of directors has approved in principle to sell off up to 26 percent of the company's equity to strategic or private equity investors. The move, according to informed sources, is aimed to fund expansion and to pay back the company's debt, including money raised by the company to pay the Indian government 86 billion rupees (US$1.8 billion) in one-time fees for 3G spectrum. Besides aiming to reduce its debt and raise more capital, Reliance will also be looking for an investor that will bring expertise in the area of operating 3G services, said Kamlesh Bhatia, a principal research analyst at Gartner. Expertise in 3G services will have to come from operators in mature markets, as they have been offering 3G services, and have the right partnerships in place already, he added. AT&T as well as Etisalat are interested in a stake in Reliance, according to media reports. Etisalat already has a small mobile services joint venture in India. Reliance operates both GSM (Global System for Mobile Communications) and CDMA (code-division multiple access) services in the country. 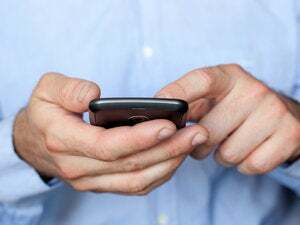 It had a share of 17.5 percent of India's 601 million mobile subscribers at the end of April, according to the Telecom Regulatory Authority of India (TRAI). The Indian market has witnessed stiff competition with new entrants getting into the market. There were 12 service providers in the country at the end of April, according to TRAI. A tariff war has pushed down rates for voice calls at times to below Indian rupees 0.01 (US$0.0002) per second. Reliance reported a quarter-on-quarter decline in revenue and pre-tax profits for the quarter ended March 31, citing the competitive market. The high bids for 3G licenses in India are likely to delay the consolidation in the Indian market, as the large players are already saddled with high costs in connection with 3G spectrum, and may not be in a position to buy out other companies, Bhatia said. All the bidders for the 3G auction were incumbent players like Bharti Airtel, Reliance Communications, and Vodafone Essar, the Indian joint venture of Vodafone Group. There is now opportunity for foreign players who are not already in India, and who want to benefit from growth in emerging markets, Bhatia said. However, the going will be tough for them in a difficult market like India, he added. Reliance's stake will be sold at an appropriate premium to the prevailing market price, the company said on Sunday. The board also authorized Reliance to pursue other strategic combination and consolidation opportunities. Reliance said earlier this month that it has been receiving various proposals from time to time from international telecom companies expressing interest in acquiring a strategic equity stake. The statement by Reliance followed a report in a local daily that Etisalat was considering acquiring a 26 percent stake in the company.